Mercedes Benz G63 AMG vs. Land Rover Range Rover Autobiography – Which SUV would you choose? When naming luxury sport utility vehicles two brands that will always come to mind are Mercedes Benz and Land Rover. These two car companies have managed over years to maintain a status quo of ultimate luxury Although I have my personal favorite between the two, I can not deny that they can both go head to head in any SUV enthusiasts heart. The other day an argument ensued and we were left trying to decide which we liked better. The Mercedes Benz G Class or the Range Rover. Land Rover won my heart during my very first test drive over 10 years ago. I got to experience what it would be like driving a Range Rover in a rough terrain. It was an amazing experience and ever since I have followed the maker for years even though Mercedes Benz has my heart and the G Class remains my all time favorite SUV. Let’s put my personal bias aside for a quick second and compare these two beasts side by side. We know the two car companies are known for their dedication to detail, craft and engineering and of course the big price tag, but what do both cars have to offer performance wise and which car outdoes the other? The two models I will be comparing are two of the highest grade models from both Brands..The G 63 AMG and the Range Rover Autobiography.. The G63 and the Autobiography comes with a lot of awesome luxury features on the interior so really, you can’t go wrong either way. I however prefer the Autobiography’s interior because of it’s modern style and because it offers more options. Depending on what you are looking for and your personal style choosing one of these should serve you just fine. Exterior wise, I personally prefer the box design the G wagon is famous for, but the longer wheel base the Authobiography offers is extremely enticing. Performance wise there isn’t much of a difference but as you can see the price tag difference is huge. Overall if I wanted to choose a vehicle to get more bang for my buck I personally would choose the G63. 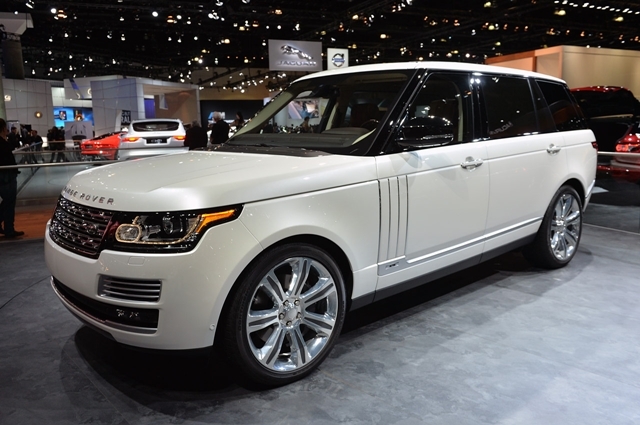 If I wanted a luxury SUV that offers a lot of perks with a roomy interior, I would choose the Range Rover Autobiography. So which of the two vehicles do you prefer? Feel free to comment below. Well, It definitely would be the autobiography. I don’t like the Box that the G63 comes in. You have good taste but I also prefer the Autobiography. G63 for sure and it holds it value.